So apparently, surprisingly, this movie is awful ? That would not be surprising at all. It's basically the sequel to Pineapple Express. This article sums up what pretty much everyone out there with a modicum or more of tech knowledge is saying. There's zero evidence in the public domain that North Korea is responsible, and what evidence there is points in an entirely different direction. That doesn't stop the main steam media from pushing the North Korea is responsible narrative though. One should ask themselves why that is. There are numerous examples of hackers penetrating various large corporations security measures fairly regularly. Yes this is embarrassing but it happens so why would Sony not feel the need to be honest about the real hacker? Why would the USA government be complicent in a lie like this, SONY was hacked not the USA so you can't really think that the FBI would get involved publically unless there was a real risk of corporate espionage. In this case they are concerned because the crime was committed by another country and not the likes of LULZ. The FBI wouldn't make such an accusation against another country unless there was evidence...and they have ways through programs like Prism to confirm this. So the real question is why do you think the FBI would lie and protect SONY? One should ask themselves who is funding these stories? Face it, traditional news are actually less trustworthy than online media since you can't follow it to the source and because people scrutinize online more due to anonymity of sources. Nowadays news carry one merely on the perception of what they used to be, but they don't bother to fact check and neither do the people. It seems everyone believes that someone would call them out on it. But will you ever hear of it if its not on the news? Or rather let me pose the question differently, what is the point of manipulating the public to get the world to think NK did this? So why try to manipulate the US public? There is just speculation at this point but the news aren't really trustworthy sources nowadays, the US news has come under criticism by former members who saw it as propaganda centers. It may be that they have continuing relationship and they don't want to rock the boat. That seem to be true of a lot of major US outlets that seem content to tell the narrative, if it wasn't for GG I probably would not have an idea of how eschewed things are. It still doesn't explain why the US government would point the finger at NK, or really get involved at all. The more I hear about this the more convinced I am there is a rat in this somewhere. We haven't seen it yet be we can surely smell it. It's either China or Worst Korea behind it all. Considering the level sophistication used for http://en.wikipedia.org/wiki/Stuxnet i do not know what to think, except that the US government has access to some very good black hat hackers. I expect better from you, man. There doesn't NEED to be a rat here. 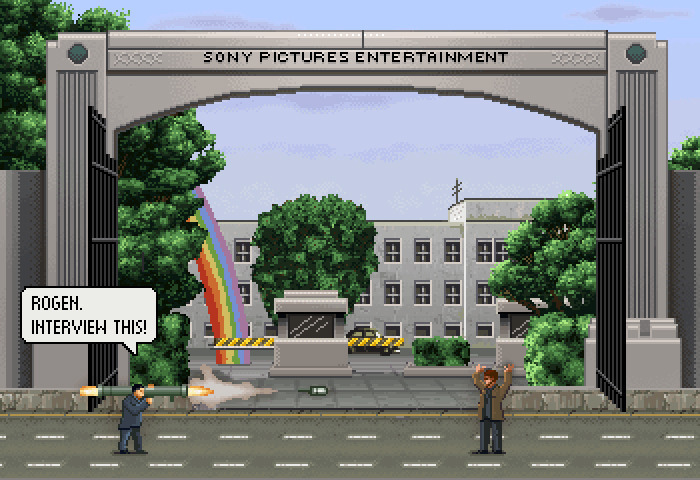 Sony have been hit before. Scuttle is that they didn't take security seriously any of the previous times. They got hit again. The only rat here is the bogus assertion that it wasn't just crime.